The premiere for House of Thirteen is this Saturday, Nov. 7. I am looking very forward to this. The Book Cottage is kind enough to host me, and I’d like to make it as wonderful as possible. Please consider sharing the image around to let others in the area know about it. Thanks, and I hope to see you there. Shout it to the rafters. 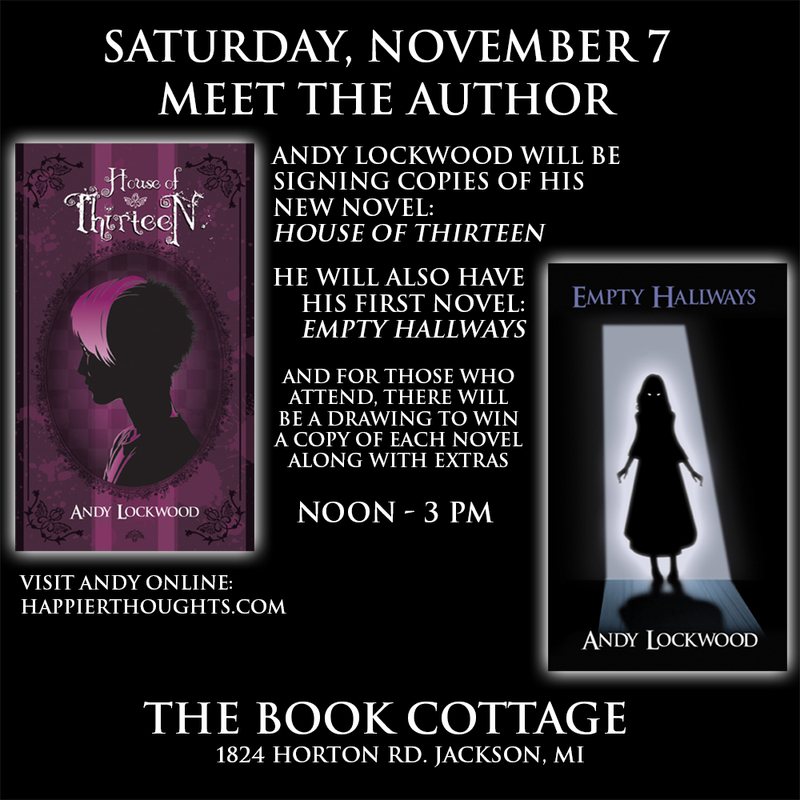 This entry was posted in Announcements, book release, Empty Hallways, Events, House of Thirteen and tagged adventure, amazon, andy lockwood, announcement, Book Cottage, book launch, books, ebook, Empty Hallways, Event, horror, horror writer, House of 13, indie author, jackson, kindle, local, michigan, National Novel Writing Month, november, premiere, Promo, supernatural, writing by randomgauge. Bookmark the permalink.